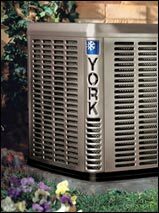 As an HVAC dealer who offers superior York® products, we provide gas furnaces featuring ClimaTraK™ Technology. ClimaTraK allows us to set the motor* in your Affinity furnace so it works best for your particular climate. With GeoTraK, the operating cycle of your furnace will be best suited to your home, whether you live in a dry, temperate, or humid area. *Affinity units use an electronically commutated motor (ECM). That means that unlike standard blower motors, the ECM continuously but gradually changes fan speeds. This gives you incredible humidity control, much quieter sound levels, and one of the most energy efficient furnaces you can buy.